CA Tech participated in the 18th 2018 Busan International Shoe Exhibition 'BISS 2018' held at BEXCO Main Exhibition Hall for three days from Oct. 4 (Tue.) to Oct. 6 (Sat.) . CA Tech provides integrated 3D service through close interaction with each service field and presents a new paradigm of technology and service convergence. 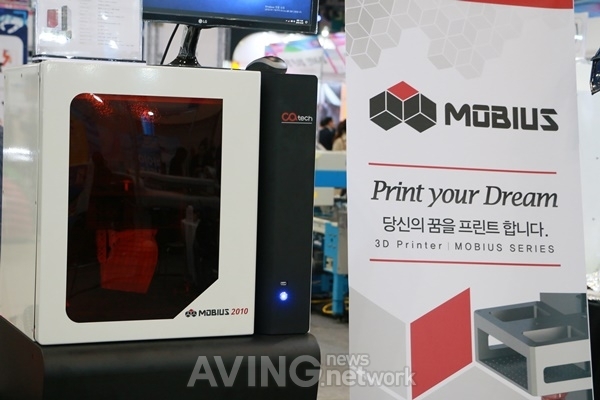 Mobius 2010, introduced at this exhibition, is a model that reduces the price burden on consumers with its compact size. This 3D printer can examine the quality and functional aspects of final product before mass production in the development of various products including shoes. In addition to reducing the cost of existing prototypes, it also has various features such as various color implementation, time shortening prototype completion, and product completion by modifying the design stage. Sohn Hyeon-jin, a representative of CS division, said, "Since our products are 100% local-produced, we are able to process deliveries quickly," adding, "We are exporting not only to domestic but also to Southeast Asia. "We are now in the process of launching Mobius 2," he said. "We have already completed development, and we plan to show it officially in Korea in the first half of next year after it is released at the German exhibition in November."